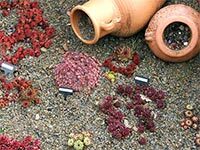 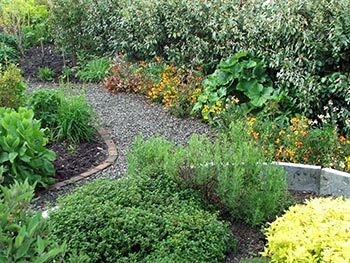 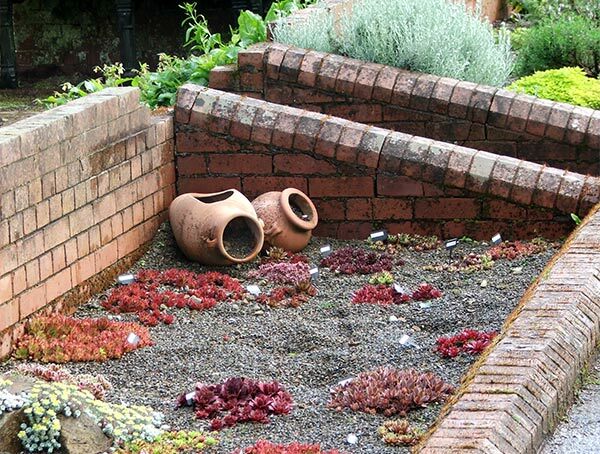 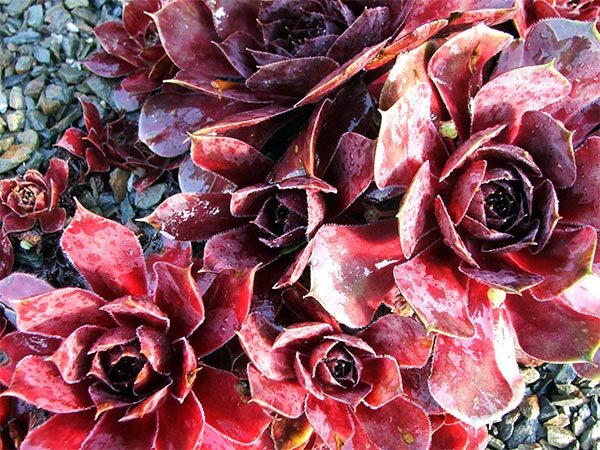 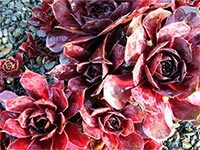 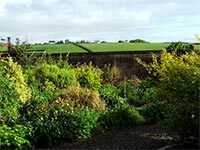 English walled gardens may be commonplace for indigenous English visitors, but New Zealand gardeners are fascinated by them. The walled garden was created in 1883, an exotic English summer garden, supplying flowers and vegetables to the estate. 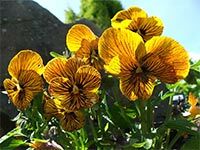 At the same time in gardening history New Zealand settlers were struggling to clear patches of native bush, in order to plant their small rows of potatoes and onions. 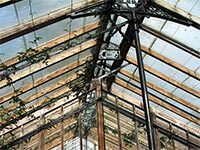 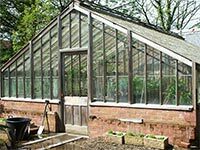 I peep at the original Foster and Pearsons catalogue of Victorian greenhouse constructions - Winsford is in rather select company, with many a titled Devon landowner, and even her Majesty Queen Victoria, as customers. 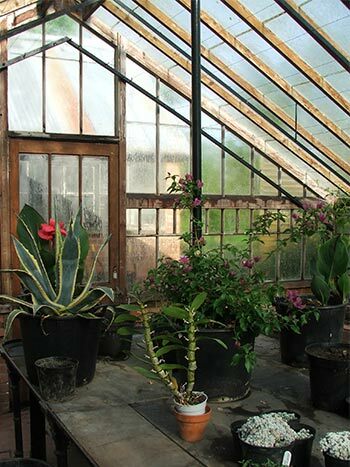 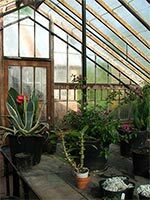 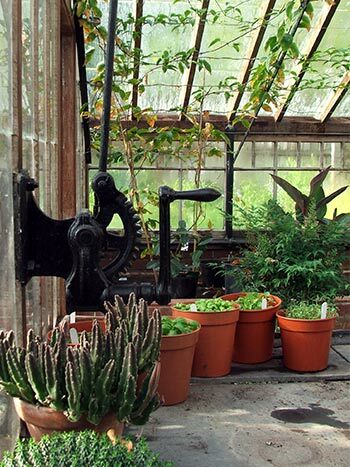 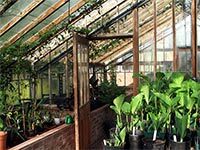 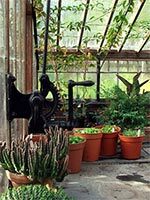 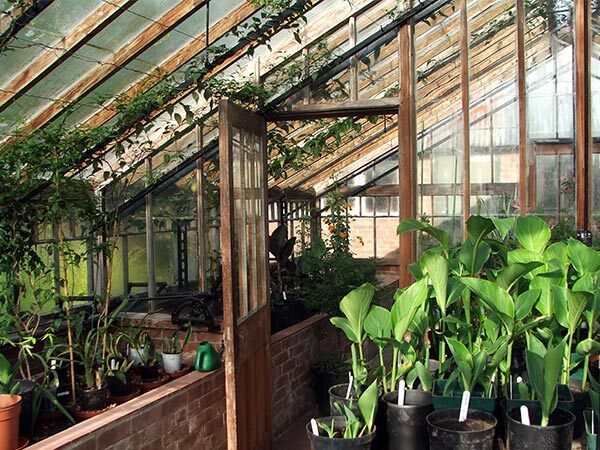 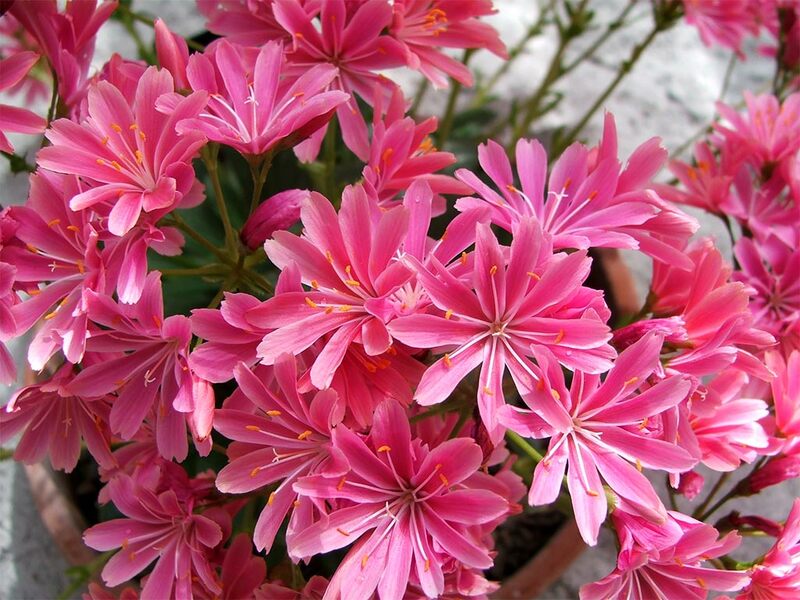 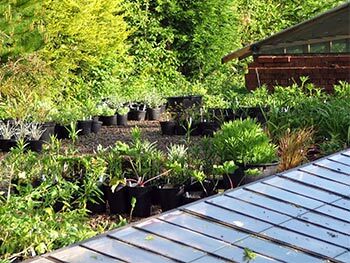 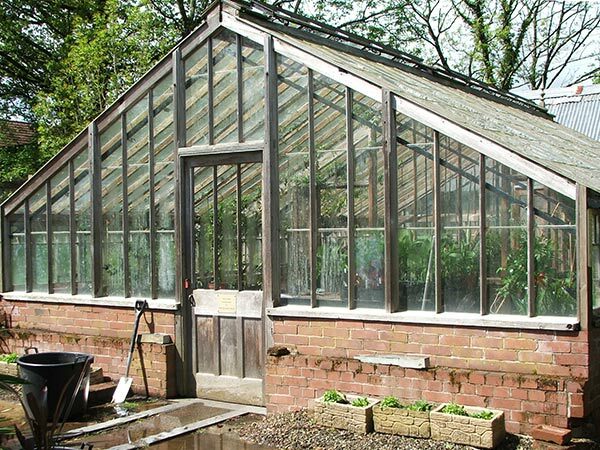 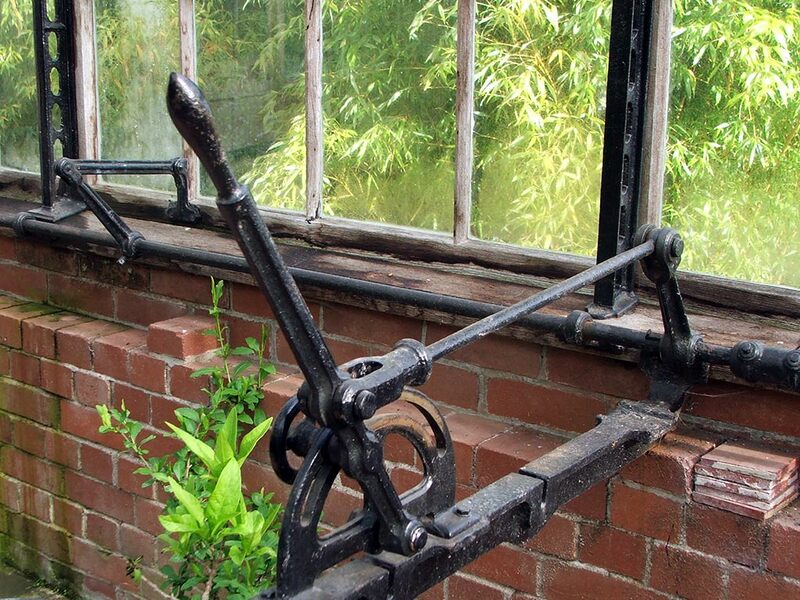 Originally thirteen greenhouses were constructed at Winsford, and currently two are fully restored and in operation, while a third is to be an Alpine House. 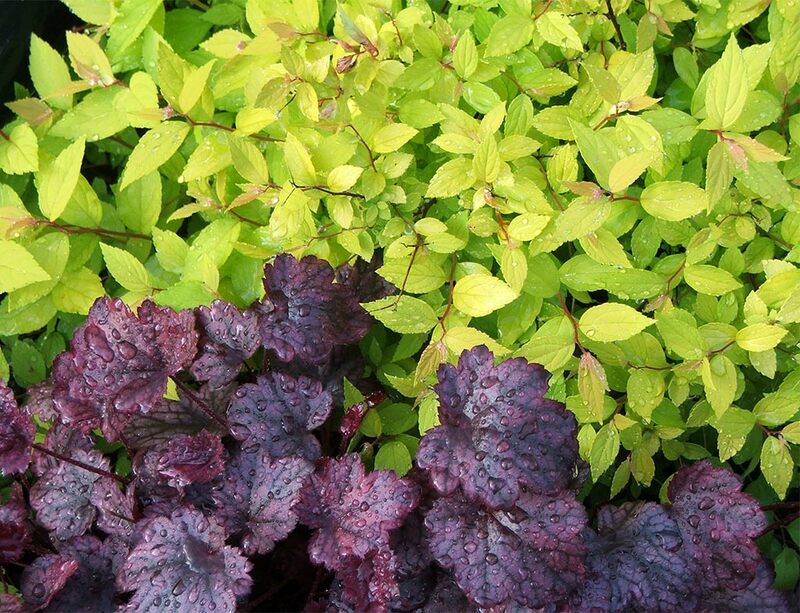 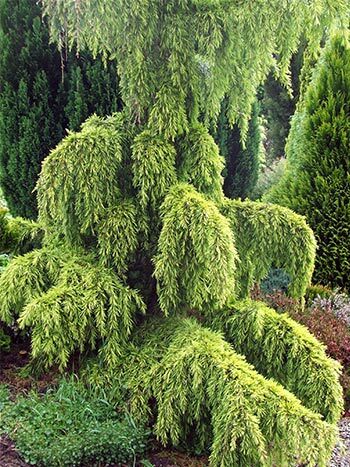 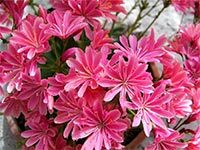 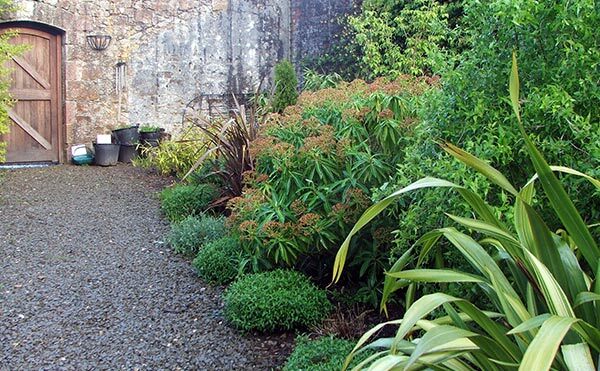 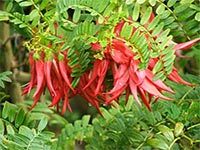 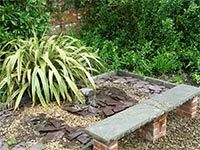 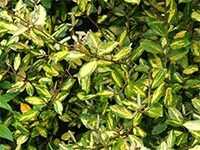 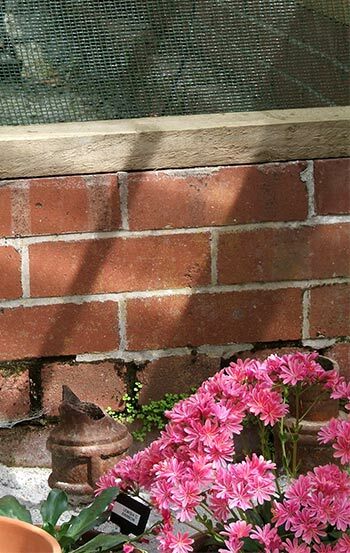 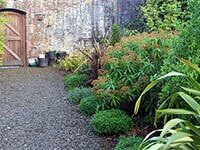 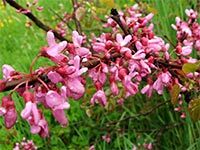 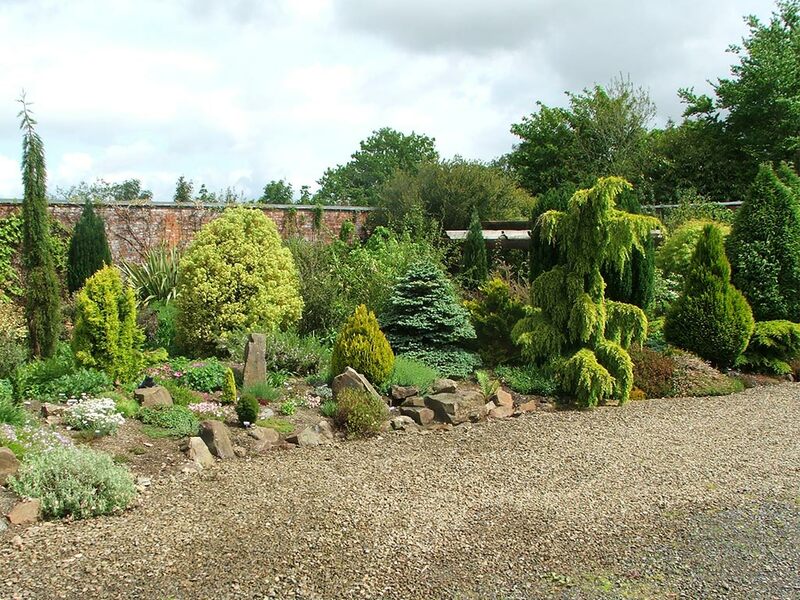 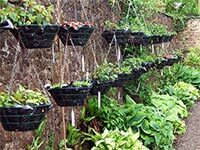 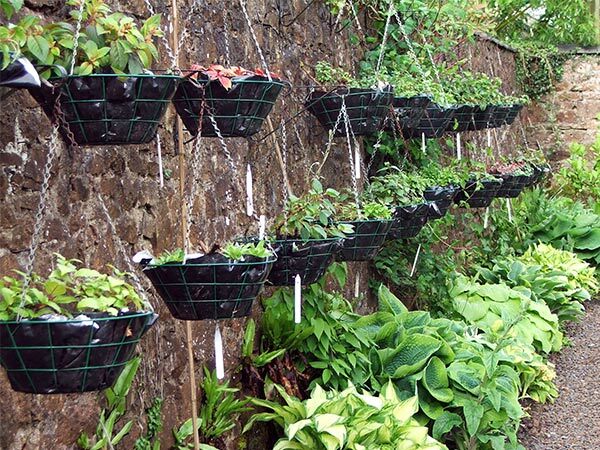 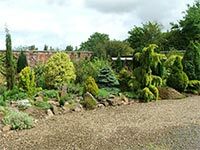 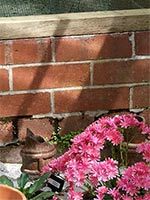 Owner Michael and his two gardening partners have created their own style of garden, choosing an international group of shrubs, conifers, herbaceous perennials and wall climbers. 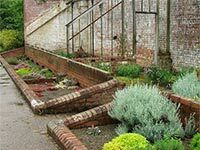 In 1999 they started from 'scratch' - an apt word for three keen restorers having to deal with brambles and broken glass litter! 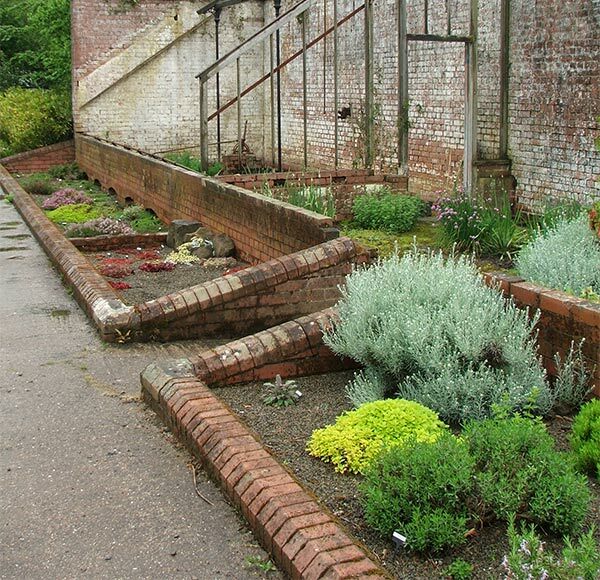 There was literally a real 'mess' to shift - an army mess had to be removed, together with duck and chook houses. 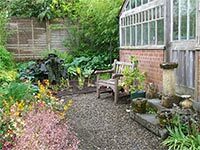 On my arrival I am given a personal tour by Michael (AKA Muddywellies), a furiously passionate gardener who hardly notices the rain and chilly wind. 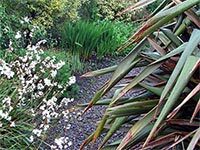 I sense I am a rather myopic visitor when I hear myself saying, for the nth time, 'We don't grow that in New Zealand' But I've already spied some phormiums - the Golden Wave flaxes that I love and grow. MY host tells me 'Pittosporums are grossly undervalued' and immediately I feel at home. 'Here's another one of yours' - he points to a Manuka. 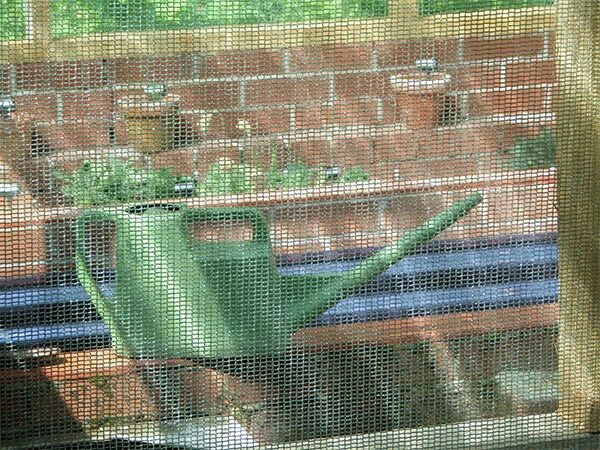 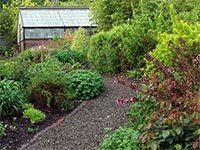 We agreed it looks a little scruffy, and suddenly the gardening miles (approximately twelve thousand) between us shrink to nothing. 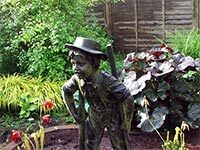 When I visited it was a little too early for the roses and perennials, waiting patiently to unleash their summer colour. 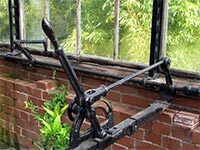 Winsford Walled Garden was a snoozing giant, the climbers ready to cover the walls, the David Austin house roses bursting with buds, ready to declare themselves. I'm definitely going to have to come back - hopefully in a proper Devon summer! 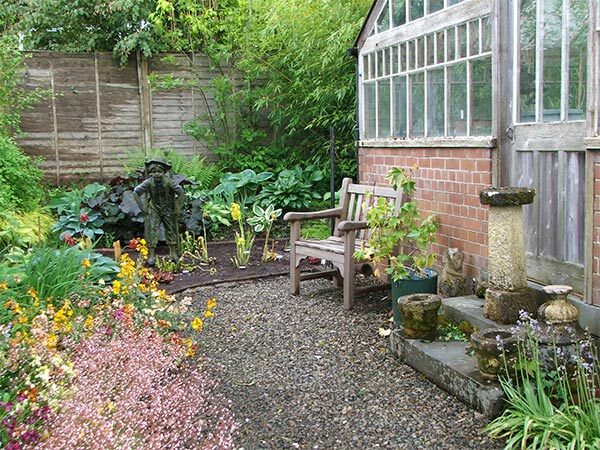 I had such fun taking hundreds of rainy-day pictures, trying to capture the life force of this warm-hearted English garden. Such incredible results after only seven years of gardening - Michael is definitely not called 'Muddywellies' for nothing! 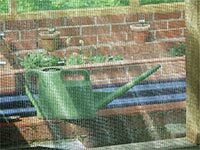 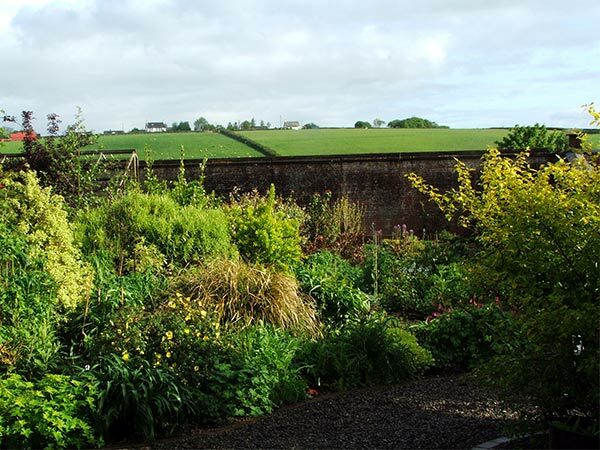 Winsford Walled Garden is in North Devon (a well-endowed gardening area of Britain) and well worth visiting for its rolling hills and beautiful rural ambience. 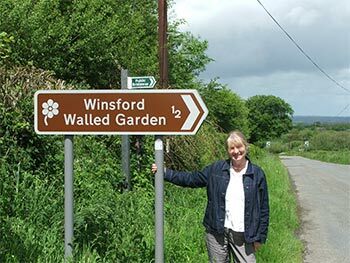 By car, get yourself to Hawill Junction on the Okehampton-Bude road (A3079), then find the brown sign (see my smiling photograph at top of this page) - and follow! 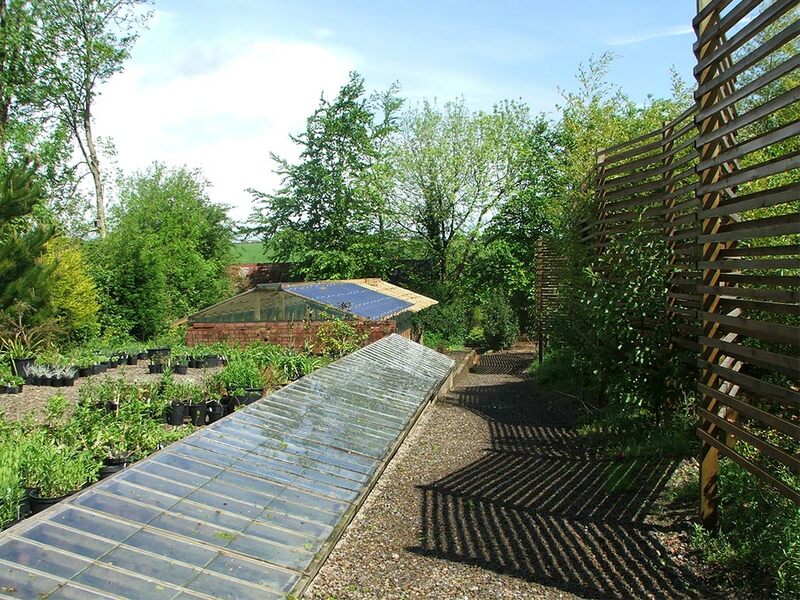 Hope you enjoy your time here as much as I did - maybe the English weather will be is a little kinder when you visit!